Abstract—Expectation maximization algorithm has been extensively used in a variety of medical image processing applications, especially for detecting human brain disease. In this paper, an efficient and improved semi-automated Fuzzy EM based techniques for 3-D MR segmentation of human brain images is presented. FEM along with histogram based K-means in initialization step is used for the labeling of individual pixels/voxels of a 3D anatomical MR image (MRI) into the main tissue classes in the brain, Gray matter (GM), White matter (WM), CSF (Celebro-spinal fluid). FEM‘s membership function were estimated through a histogram-based method. The results show our proposed FEM-KMeans has better performance and convergence speed compare to histogram based EM. Index Terms—Brain MRI segmentation, fuzzy expected maximization, histogram based k-mean. Soodabeh Safa is with the University Putra Malaysia, Selangor, 43400 Malaysia (e-mail: soodabeh_safa@yahoo.com). Behrouz Bokharaeian is with Complutense University de Madrid, 28040 Spain (e-mail: bokharaeian@gmail.com). Ali Soleymani is with the Faculty of Information and Science Technology, Universiti Kebangsaan Malaysia, Selangor, 43600 Malaysia (e-mail: ali.soleymani@gmail.com). 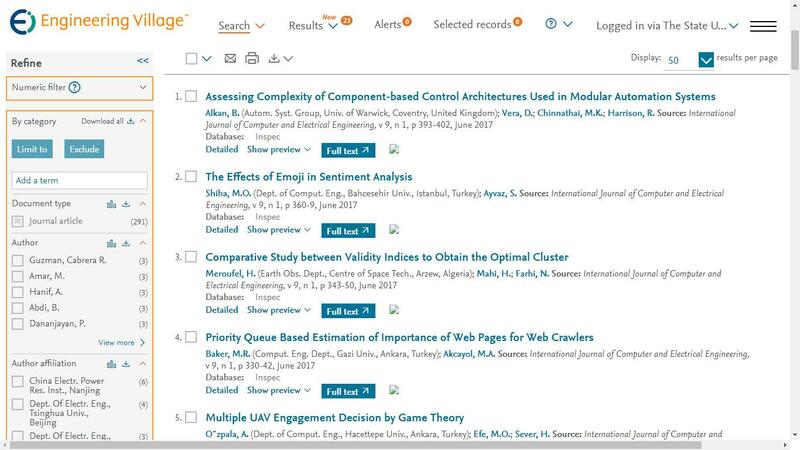 Cite:Soodabeh Safa, Behrouz Bokharaeian, and Ali Soleymani, "Brain MR Segmentation through Fuzzy Expectation Maximization and Histogram Based K-Means," International Journal of Computer and Electrical Engineering vol. 5, no. 5, pp. 438-441, 2013.